Let's start with the good news.... Nobody in this class (including the teacher!) 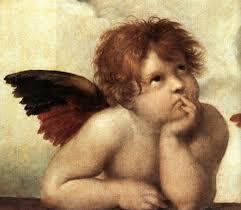 can draw like Raphael. Phew! Now the pressure is off. No need to be intimidated. 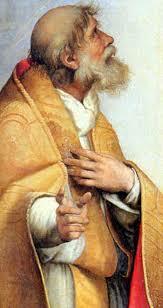 But one of the masters of the high Renaissance – Raphael Sanzio – has much to teach us. Grab a sketch pad and get ready to learn by doing -- together. 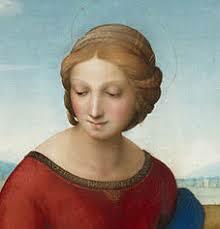 Raphael’s master works include complex scenes of grandeur as well as intimate portraits and figurative groupings. We’ll learn to look closely and analytically, and practice the centuries-old tradition of sketching master works. It doesn’t matter if you consider yourself competent at drawing or just a beginner—there’s great value in learning to see and sketch. Class format will include a review of this wonderful artist and his work, and participation exercises will focus on learning from Raphael’s achievements in clarity of form, ease of composition, and scenic grandeur. Inspiration and joy from looking closely at the works of a great genius. Practice sketching – using good sketch practices to create compositions Application – we’ll talk about applying the principles of Raphael’s works into our own work. Camaraderie and mutual encouragement allow us to grow our skills. Students should bring a sketch board of some sort, at least 24"H: a rigid surface to hold on the lap for sketching. Students should also bring an assortment of implements they enjoy for sketching: markers, crayons, pencils, ballpoint pens, etc. We'll be focusing on line and shape, so colors are not very important for this class. Workshop leader will provide paper for sketching. This workshop will be held on Tuesday, April 3 2018 from 9am to 4pm at Atlantic Center for the Arts in New Smyrna Beach. It is part of the Focus on Fiber retreat. Students who are not participating in the retreat are welcomed to attend just for the day. Cost for the class alone is $60. Cost for class plus lunch is $75.